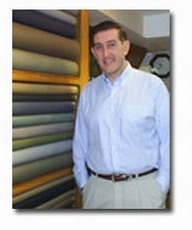 Neil Flanagan is the President of execshirts and manages all the day to day operations of the company. Before starting execshirts, Neil was a Director at eToys.com, Verizon Wireless and Emser Tile & Natural Stone. Neil graduated from the University of New York with a degree in Business; he also received an MBA from the University of Southern California. In addition to his business experience, Neil was in the U.S. Marine Corps and the Marine Corps Reserve, where he served in Reconnaissance and Force Reconnaissance units. Neil was first introduced to Thailand by the Marines when he came to train the Thai Recon Marines. At execshirts we value our customers and we equally value our staff. Our staff understands that if we take care of the customer, the business will take care of itself. We pay wages that are well above the market rate in Thailand, and we also have a generous profit sharing program which is unheard of here. Our staff understands that having customers become repeat customers, increases their salaries and profit sharing bonuses, so they handle every order with great care. In Thailand a working member of a family will usually send extra money back home every month to support the rest of the family. The more they make, the larger the amount they send home. Not only do customers of execshirts get quality dress shirts, they also help make a difference in the lives of our staff, and our staff's families, that is how our company operates.